While the most high-profile jobs we perform include building lifting and building moving right in the middle of town, there are many other moving projects we engage in that aren’t nearly as noticeable. When we move heavy machinery, we might be way out in the country or in the middle of an industrial park, far away from the public eye. 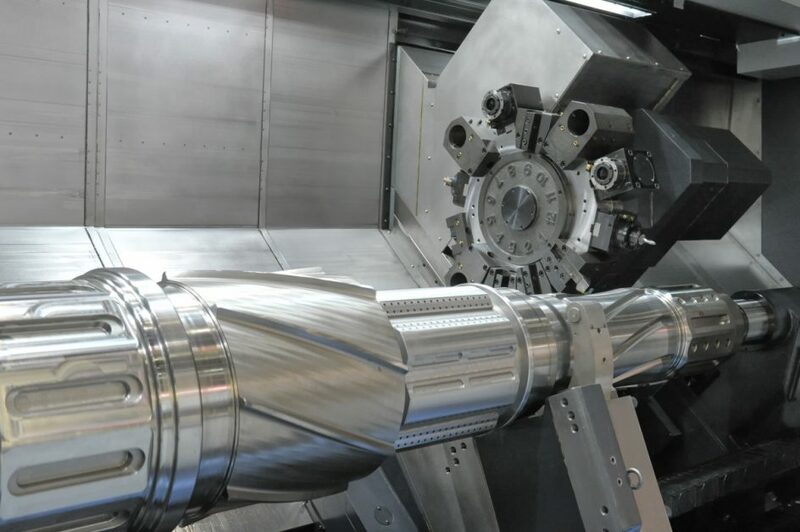 But the machinery moving we do is vitally important to the businesses we serve, and complex components make that machinery exponentially more expensive than the average house we move. In many cases, this machinery was designed to be put into place and left there forever, but sometimes moving becomes a necessity. Why are companies hiring us to be their heavy machinery movers? Here are some of the most common reasons. In some cases, a business has a limited amount of space and is massively redesigning that space in order to increase efficiency. Sometimes their largest pieces of machinery need to be moved in order to accommodate those big changes, and we’re ready to help them increase their efficiency by getting that machinery exactly where they want it. Other times, the equipment is perfectly fine but the building in which it resides is falling apart. The company might be erecting new buildings to house the old equipment, which means we’ll be there to transfer anything abnormally heavy. If a company is growing and moving locations, they certainly don’t want to just leave some of their most prized equipment behind. In some cases, the equipment is worth considerably more than the property they’re leaving! As the Northeast’s premier heavy equipment movers, we can get their important machinery from the old location to the new one. Maybe it’s a huge whiskey still, an offset printer, or medical equipment. It really doesn’t matter, because we can get it from point A to point B. Another reason to move heavy equipment is it’s being sold from one company to another. Maybe the company is moving and can’t be bothered to take their old equipment with them since they have new equipment waiting for them at the new location. Other times the company is going out of business and absolutely everything. It’s in cases like this where we’re called in to move heavy equipment from one place to another. Sometimes we’re moving for the seller, sometimes for the buyer, depending on the terms of the sale. Either way, we make sure it gets where it needs to go and put into place properly. Not all heavy equipment comes in pieces. Some are so complex that they can only be assembled at the factory and have to be shipped whole. Many times this shipping occurs by train, but the train seldom goes exactly where a company needs the equipment to end up. No matter how far they are from the train tracks, we can get the equipment delivered to its final destination. In most cases, the businesses who call us for heavy equipment moving are doing so because they want the equipment to arrive at the new location in the same condition it left the old one. But there are times when we have been called to help with the disposal of equipment, and it really doesn’t matter how careful we are with it!. Not all equipment can be broken down piecemeal, so it might have to be removed from the building before it can be scrapped. We’re happy to say that we’ll help get it out so that it can get wherever it’s going, protecting the building it’s leaving in the process. Interestingly, some of the heavy equipment we move already has wheels. But just because it has wheels doesn’t mean that it can get to its new location quickly. In fact, it might not even be street-legal, and that’s when heavy equipment movers are brought in to handle it. Big equipment like mining machines, road-building vehicles, and oversized dump trucks and construction equipment might have wheels but are much more efficiently moved with the help of professional heavy equipment movers. While most instances of heavy equipment moving have us moving large items horizontally, we also move them vertically with some regularity. This might occur when an area is in danger of being flooded, or if traffic patterns have changed on the property and getting the outdoor equipment out of the way just makes sense. Of course, sometimes we lift equipment without touching it at all. If we’re performing building lifting services, we might be lifting the equipment out of flood danger while we lift the building itself. Nearly all lifting services are so gentle on a building and everything within that the equipment doesn’t have to be moved out before the building raising occurs. Just because something is large and heavy doesn’t mean it’s not fragile. Payne Construction Services has moved heavy equipment that had to be treated gently every step of the way. We’ve also move machinery into and out of spaces that you might have thought impossible, thanks to our dollies and lifts. We want to give you a quote on your heavy equipment moving job, no matter how big. Click here to contact us and discuss what we can do for you!